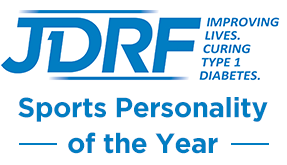 Protecting My Feet At BUCS Nationals | Life, Sport and Diabetes - An everyday look at my life with type 1 diabetes. Last weekend I had the pleasure of competing at the British Universities Championships in Sheffield. Getting to compete against the best female athletes in the UK was a great experience, aswell as being very physically demanding and tiring. People often make the mistake of thinking that sprinting isn't that strenuous because it's over in 30 seconds. But what many don't see, aside from the gruelling training regime that happens prior to competing. Is that working at maximum intensity is very demanding on the body, and you can only prepare your body for such exertion through a vigorous and dynamic warm-up of a minimum of an hour before the race. In addition to the high level of competition, BUCS is also known for the rounds of races athletes have to get through in order to reach the finals. This was no exception for me, because I was racing in both the rounds of my individual 200m sprint, and those for tmy university relay team too in the 4 x 200m. The videos of which are available on my Instagram- @MelStephenson01 and Twitter- @Torchbearer2012. When other people are depending on you, in turn you yourself have to have kit that you can depend and rely on, and for my feet, this meant wearing my Protect iT socks. Despite warming up, racing and cooling down repeatedly over the course of the three day weekend, the socks were incredibly durable and supportive. I chose to wear the beige/ skin tone ankle style Protect iT socks to race in, because the colour goes with whatever colour shorts or spikes that I'm wearing. The ankle length style supports my achilles, from the skillfully woven fabric at my achilles tendon insertion in my foot, to the base of my ankle that works hardest when I'm up sprinting on my toes. The warm temperatures of running inside, and the cool temperature that exist when you're sat in the stands waiting your turn to race, could have been a blister-ing distaster for my feet. But the socks are so durable that any excess moisture was wicked away into the fabric and evaporated. All of which contributed to a winning combination for racing success at BUCS Nationals!